Australia’s leading social enterprise development organisation, we work to break the cycle of disadvantage and build resilience in Australian communities. We believe business can do good and that social enterprise generates benefit by creating employment, providing access to services and strengthening local communities. Using our expert knowledge and partnerships we help organisations of all shapes and sizes find better ways to achieve and contribute to sustainable social impact and change. Our vision is a world where the market is used to deliver sustainable social outcomes. We achieve this by empowering social enterprises to transform communities throughout Australia. 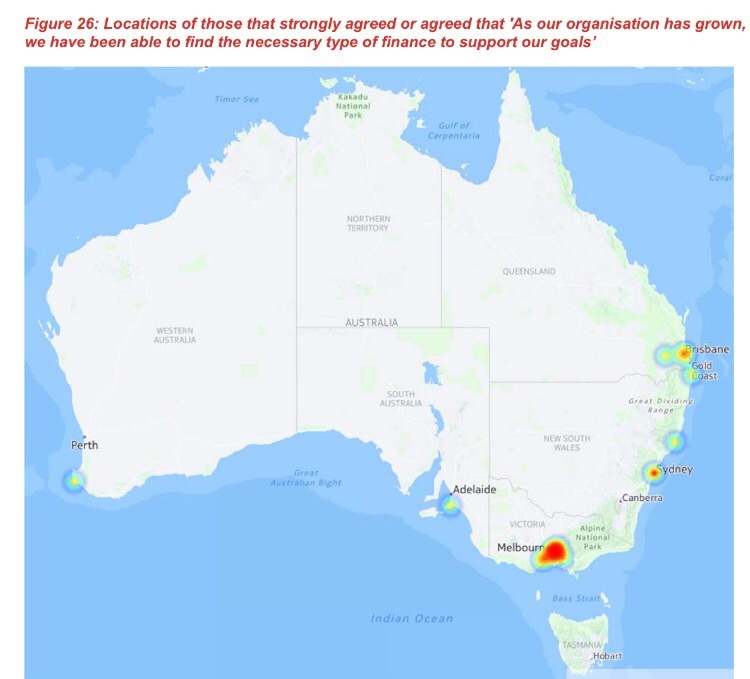 Social Traders have participated in large scale research projects with Professor Jo Barraket, including the Finding Australia’s Social Enterprise Sector (FASES) project (2010) – the first CENSUS of social enterprise in Australia. They recently released FASES 2016. … The Finder enables consumers and procurement officers to easily locate and support businesses that benefit the community. For social enterprise operators, The Finder is the gateway for entering the buyer markets that Social Traders is actively developing in the consumer, corporate and government sectors. It is also a free resource for raising awareness and increasing sales. Upon registration, social enterprises are certified, which verifies that they exist for a social purpose, they earn the majority of their income through trade and they reinvest the majority of their profit in their social mission. Certified social enterprises may be entered onto the Finder and subsequently invited to become part of Social Traders’ supplier network. 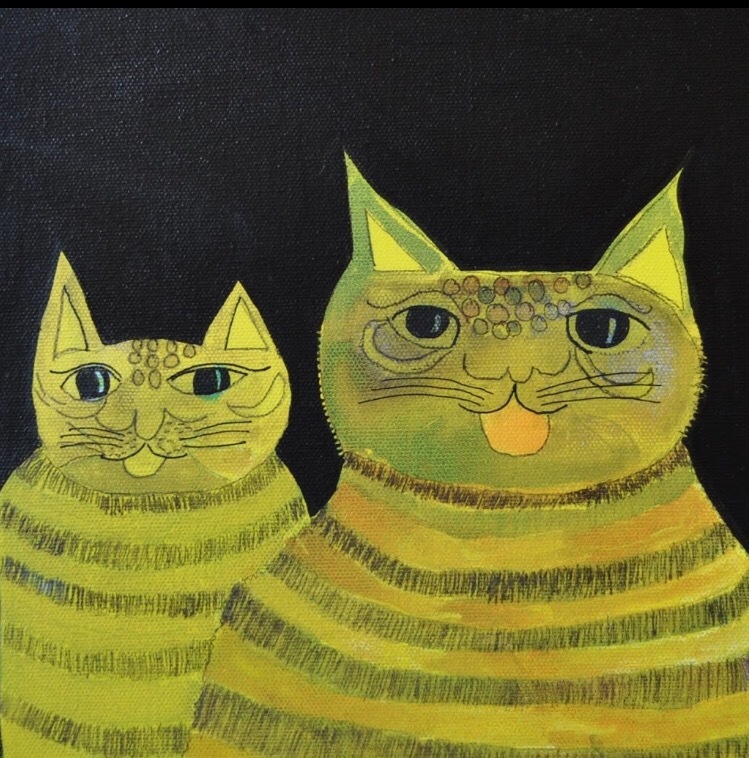 Using the Social Traders ‘Social Enterprise Finder’ we have compiled a list of arts based social enterprises that offer programs to young people in Melbourne, Sydney and Brisbane. The data base allows you to search each State by specific categories. We searched 5 different categories including: Arts and Culture; Clothing and Personal Services; Education and Training; Employment; Media and Communications; Printing and Publishing. SEs relevant to our project showed up mainly in the two first search categories: Arts and Culture; Clothing and Personal Services. The SEs we identified in these categories also showed up again in other category searches, particularly Education and Training, and Employment. 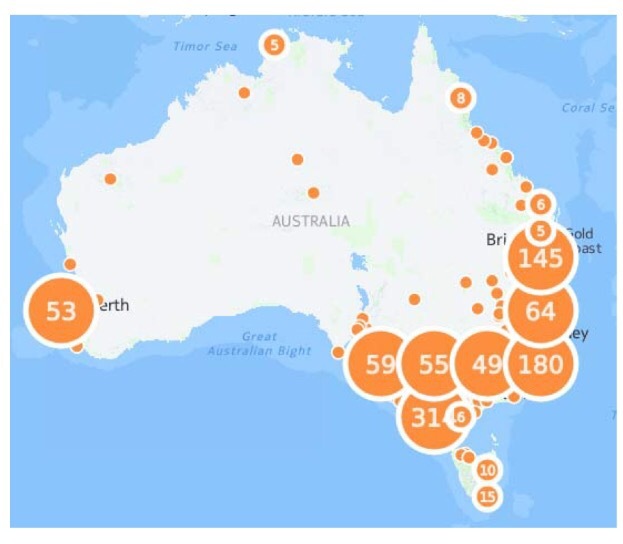 Across the three States the Media and Communications search category showed many radio stations offering volunteering opportunities, but this was not necessarily linked to education and training. There were community organisations in this category, but none had a youth/arts focus with an attached training or educational program. 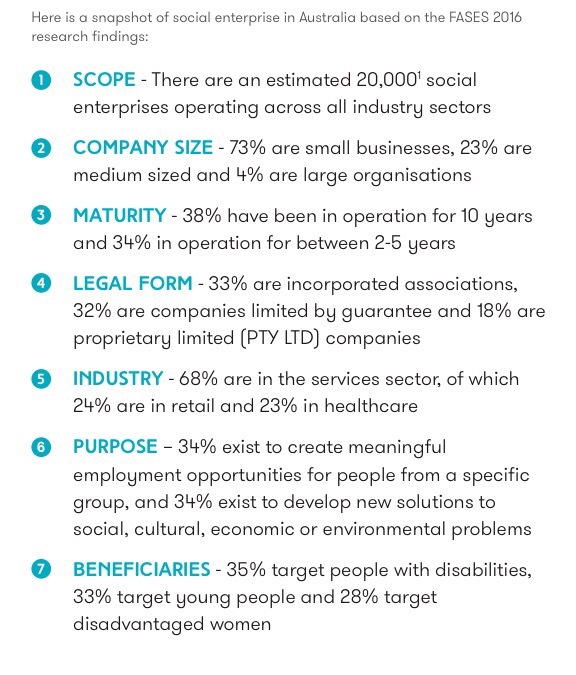 We identified many social enterprise service organisations and businesses that aim to secure funding for SEs and assist with branding and advertising opportunities (see for instance, Futurekind). These are Social Enterprise intermediaries and don’t necessarily run training/education/work programs. ‘Social enterprise locations’ (Barraket et al, 2016: 14). The Arts and Culture category revealed the most ABSEs (8), while the Education and Training category showed 5 ABSEs. Within the Printing and Publishing category the only ABSE was a creativity and literacy organisation called 100 Story Building. The rest were either commercial or charitable organisations that do not run training and education programs but donate proceeds to different causes, or develop their product in sustainable conditions. No ABSEs with training and education programs showed up in the Employment search category. The Media and Communications category showed mostly radio stations along with a couple of universities (i.e. University of Newcastle). Some radio stations considered themselves community organisations and offered opportunities for volunteers. Employment and training programs offered business skills training and skills thought to increase individuals ‘employability’, for instance processing mail and operating machinery. A search of the Employment category showed no arts based youth programs, but lots of hospitality training programs and employment/workforce service providers, service programs for differently abled people, and community organisations. There were no ABSEs in the Media and Communications or Printing and Publishing categories. Once again, Printing and Publishing showed mostly commercial or charitable organisations that do not run programs but donate proceeds to different causes, or their product in manufactured sustainably. Although many ABSEs were categorised under ‘Arts’ this does not necessarily mean that they involve participation in creative processes. A SE may be thought of as creative if it is selling art products which have been sourced from countries around the world. Many social enterprises stated that their mission was to turn people’s lives around whether this was through the program they offered or the business they operated. Many SEs do not offer particular education and training programs but train people on the job, this is the case for stores that stock ethically produced products (i.e. Just Earth) or recycled clothing. Or, for instance, Fitted for Work (via the Conscious Closet Organisation) train women to work in their shop and sell clothes, while offering the service of preparing women for work with mentoring and work appropriate clothes (and more…). Many SEs are hopeful that their business model will become the norm in the years to come, and that their participation in the SE sector will alter the way people think about the production and consumption of goods and services. 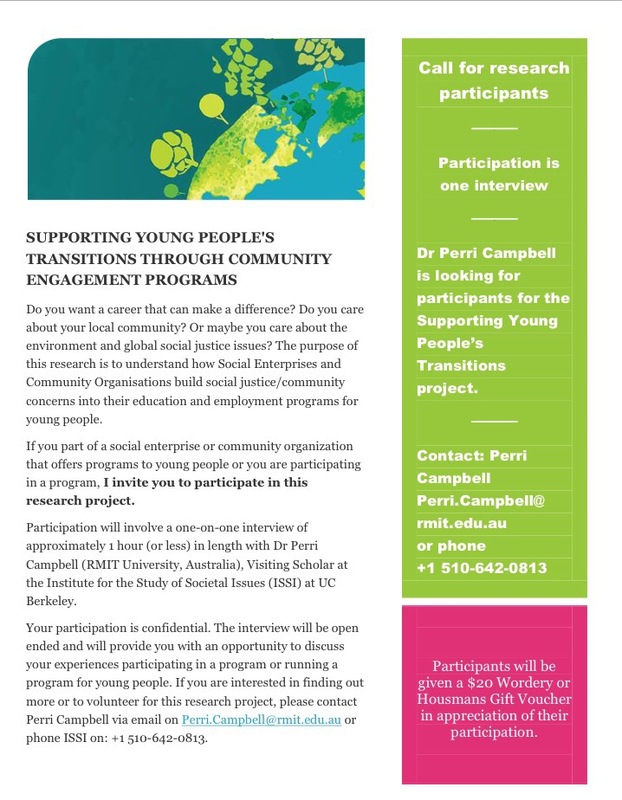 This logic of being a ‘change maker’ is expressed differently by different SEs – some focus on making a change in people’s lives, others focus on the broader project of social change. (In coming posts we will discuss the logic of SEs with the ideas of program logic and theory of change). As we’ve mentioned in earlier posts SE strategy documents produced recently by Victoria and Scotland strongly support the idea of growing SEs and pushing business toward ‘doing good’ or being good global citizens. The Social Enterprise Finder shows many Social Enterprises using different models to achieve their social missions, from dance and art studios offering programs and opportunities to perform and sell art works, to community radio stations and shops selling hand made ethical and fairtrade products. 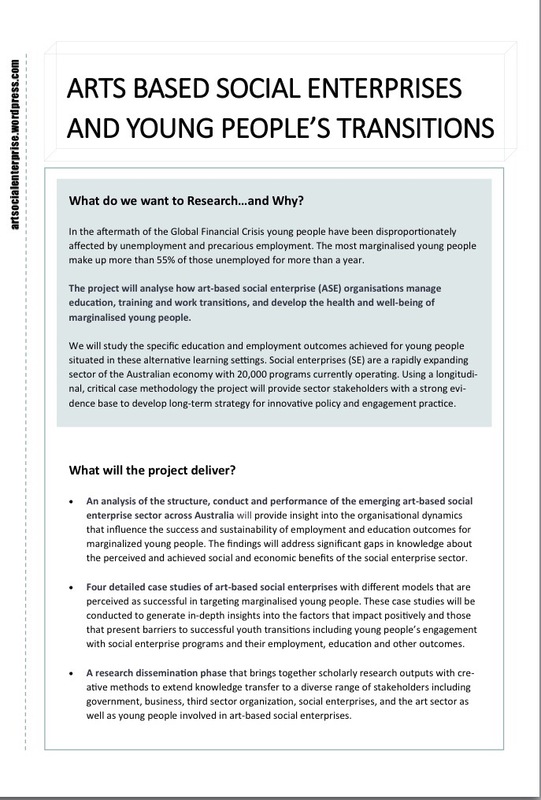 viewed as having a particular role to play in market development for social enterprise, and state and federal governments in providing enabling regulation, supporting organisational development, and stimulating innovation in policy design (2016b: 13). We will pick up on these issues in our next post when we discuss the FASES 2016 report and analysis documents. The social enterprise sector in Scotland delivers £1.68 billion to their economy each year, employs 100,000 people and there are plans to increase this number even further. The ‘Scottish Social Enterprise Strategy’ (what we will refer to as ‘SSES, 2016’) provides a long term 10 year plan to develop the sector via 3 year ‘Action Plans’. The strategy begins by positioning SE as intrinsic to Scottish culture and the economy. Social enterprise is also an important part of our national identity and international reputation (SSES, 2016: 16). They say for instance, that more than 5000 SEs are currently operating in the country, three in five of these generate an annual turnover of less than £100,000, and two thirds of all SEs in Scotland sell directly to the public (SSES, 2016: 9). The strategy is framed by the idea of an uncertain and ambiguous economic future in which, it is thought, SEs can provide sustainable, entrepreneurial solutions. Also on the social enterprise agenda is: fair work, place and regional cohesion, tackling inequality and human rights as defined in the Fairer Scotland Action Plan (SSES, 2016: 15). The world is increasingly volatile, complex and ambiguous. In response, the delivery of this long-term strategy must remain agile (SSES, 2016: 10). Through this logic SEs are seen as agile, flexible and able to adapt to volatile markets which render traditional business models clunky and old fashioned. SEs are packaged as new, caring businesses that are able to address public needs and concerns. You can see below where social enterprise is positioned within Scotlands Economic Strategy as a mode of ‘inclusive growth’, alongside goals like ‘investment’, ‘innovation’ and ‘internationalism’. The influences and trends presented have been identified as both relevant and plausible. They have informed our thinking on how best to help the sector adapt to the dynamic and challenging period ahead (SSES, 2016: 10). Technological trends: The SSES claims that as technology enables public scrutiny of SE activities, SEs will be encouraged to collect robust data, show good governance and social impact (pictured left). And as socially responsible products and practices increasingly become more familiar to the public, more hybrid businesses are likely to emerge in the sector. Here, SEs are presented as the ‘business of the people’ – trustworthy, grassroots, accountable, hi-tech, responsible and capable of social and economic impact (SSES, 2016: 12). These ‘trends’ identified by the strategy can be thought of as framing mechanisms or ways of attributing particular meaning to SEs. SEs are identified as vehicles that can be mobilised to addresss a range of economic and social problems, from local community concerns to uncertain economic markets. People might be able to imagine themselves as responsible for local community issues which SEs address, but these issues are often tied to broader, even global issues which exist outside the reach of many individuals as they go about their daily lives. This is an idea which we will pick up on in our discussions about ‘moral economies’ and social enterprises in later posts. Political changes: First, ‘Enabling legislation’ is identified as something that will open up financial and funding possibilities for SEs, particularly in the areas of early learning and childcare, health and social care, land ownership, broadband and transport. SEs are encourged to capitalise on the opportunities that arise in these spaces. Second, it is predicted that increasingly localised public services will need a personalised response. And this is where it is claimed that SEs can step in to offer these kinds of unique, customised services. High levels of democratic participation is likely over time to lead to power being devolved downwards. Locality planning, participatory budgeting, and community empowerment are symbolic of the shifts underway. Further work will be required to ensure services are locally organised, people powered, and enterprising (SSES, 2016: 11). While Social trends (pictured below left) include: demographic change, persistent inequalities, the influence of young people, and ethical consumption. The responsibility of caring for an aging population and providing innovative solutuons for aging populations is attributed to SEs, as well as the responsibility of fighting entrenched social inequality. Nothing less than social transformation is the expected impact of social entrepreneurialism and enterprise. The spirit of entrepreneurialism is tied to the ‘younger generation’ who are relied upon for ‘progressive values’ and ‘new expectations anout society, business and life’ (SSES, 2016: 11). And this point is expanded on in relation to schooling a little later in the strategy, where there are plans to develop an education system with entrepreneurship at the core to capitalise on the potential of Scotlands young workforce (SSES, 2016: 16). Finally, it is thought that our own motivation as consumers to buy ethically produced and responsible products and services, is cited as a driver for social change. Social Enterprises are encouraged to leverage these political and social trends to grow the sector, unite communities and fight against socio-economic injustice (our team member Kim Humphrey is an expert in the dynamics of ‘ethical consumption’). A desire to live better, more sustainable lives means consumers will increasingly make ethical choices. This may fuel growth of the sector, but only if social enterprises are more visible and able to supply consumer requirements (SSES, 2016: 11). The Economic trends identified by the SSES provide the final piece of the puzzle (SSES, 2016: 12). Here, entrepreneurialism is something that can balance and revitalise the economy by creating a more diverse business base. And, in the economic trends section we see a reflection of the social trends mentioned above. The idea of ‘business with a purpose’, social impact and ‘collaboration’/partnership taps into social trends of moral or ethical consumption (see Kim Humphrey’s Excess: Anti-Consumerism in the West). We will pick up on this discussion of business with a purpose in our next post on social enterprises as the ‘good global citizen’, intrapreneurship and mobilising the consumer for market opportunity. 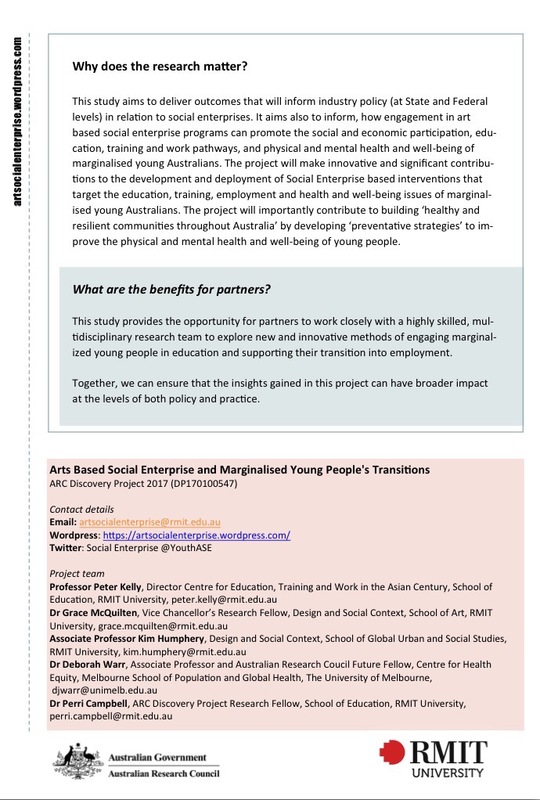 In that post we reflect on what these ideas mean if we examine them through the lens of the ‘moral economies of social enterprise’.